Creations4purpose, part of the Help a Child Reach 5 (HACR5) campaign by Lifebuoy, has launched an initiative to raise funds for children. The targeted children are affected with severe cases of infections like pneumonia, diarrhoea & septicaemia and require medical attention or intensive care support. The aim of the new initiative is to reduce the incidence of the child mortality of children under the age of 5 in Kenya. The money raised will go into a fund that will be operated by Amref in collaboration with a hospital with an ICU unit. The Creations4purpose inaugural event was hosted at Le Grenier à Pain restaurant and gave guests a unique experience of how creative consumerism can be a force for good and can help come to the rescue of hundreds of families in Kenya with all proceeds going into the creation of the fund. 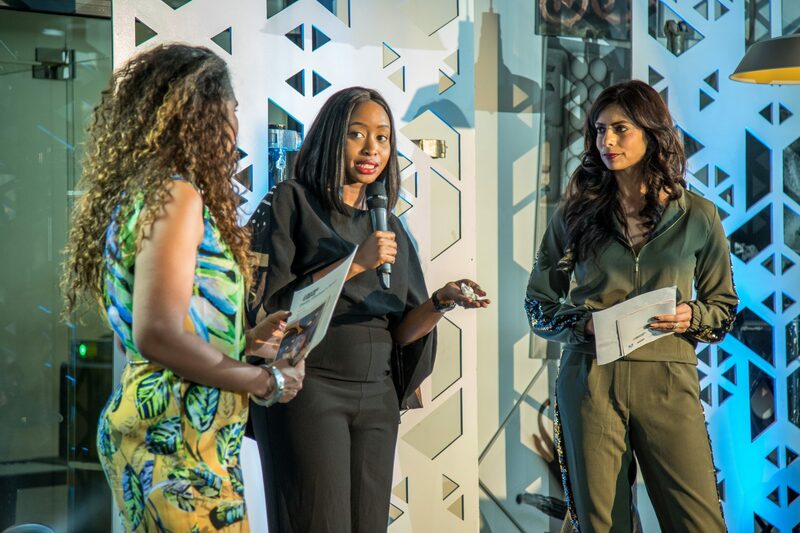 The curated experience of art and fashion from West to East Africa was attended by renown personalities that included, Nana Gecaga, First daughter Ngina Kenyatta, Sauti Sol’s Savara and Chimano, TV Host Janet Mbugua, Amina Abdi, DJ Pierra Makena, Pinky Ghelani, Caroline Mutoko among others. This event is planned around African creatives & their creations. We wish to give the attendees of the event an African travel experience through foods, arts & fashion from West to East Africa. 100% of Nanawax Kenya Collection sales proceeds will go towards the Help A Child Reach 5 fund, while a percentage of the other designers’ sales will go to the fund and all funds raised will be matched by Lifebuoy soap for the creation of the Help A Child Reach 5 Fund.” Added Myriam. Creations4purpose will host a week long fundraising from 19th – 24th April at Le Grenier à Pain that will have art and fashion from across the continent fundraise for the creation of the Help a Child Reach 5 fund. Walk in time is between 10am – 6pm for contributory purchases from brands such as Nanawax, CocoLili, Baba Iy, Fatyly, Madina Sarr, Serge Mienandi, AWA MEITE Design and Kadidiatou Touré.